Manganese Violet is a semi-transparent, bluish-violet pigment with a discrete opacity and low tinting strength. It is the reddest of the violets, and it covers and dries well in oil and tempera. It also performs well in pastel, encaustic, and watercolor. Manganese Violet is not well suited for fresco or acrylic painting. There can be significant differences in color across brands. 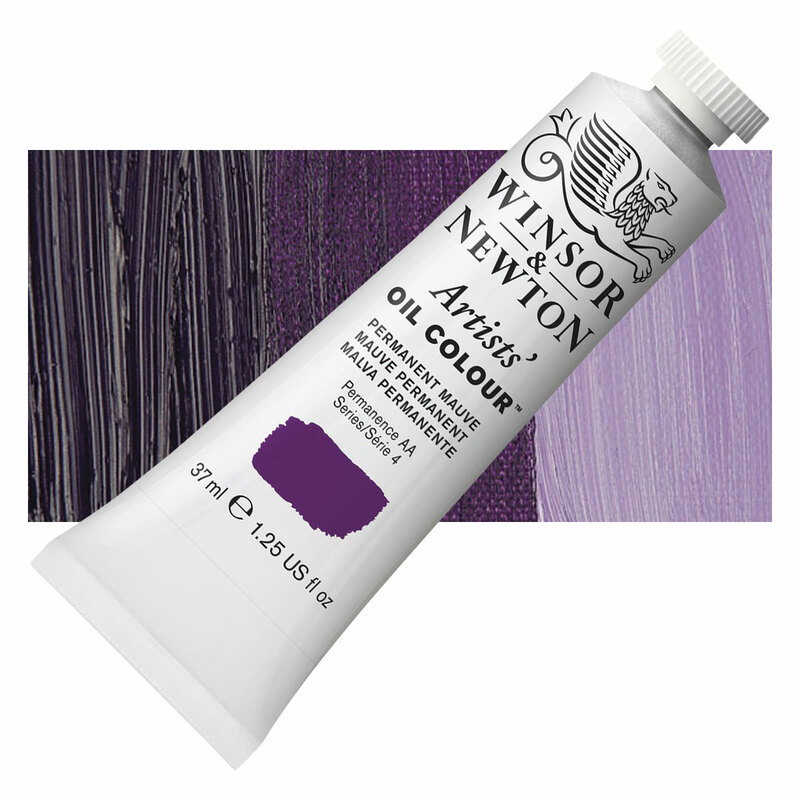 It shares similar properties with bluish shades of Cobalt Violet. Manganese Violet has excellent permanence and lightfastness, and it is one of the most lightfast, balanced violets in watercolor form. Manganese Violet is highly toxic if inhaled and moderately toxic if ingested. This pigment was developed in 1868 by E. Leykauf to replace the more expensive Cobalt Violet. It was not offered as an artists’ pigment until 1890. Burgandy Violet, Mineral Violet, Nürnberg Violet, Permanent Violet.